Khloé Kardashian has shared a game-changing nail hack. | HELLO! If you've ever been let down by the colour of a nail polish, Khloé Kardashian has the solution. There's nothing worse than being really excited about a shade only to be left completely underwhelmed by the end result. Khloé, 31, has felt that pain. The Keeping Up With the Kardashians star took to her website and app to reveal an incredible nail hack – and it will change your life. She wrote: "You know that a good nail gives life! These days I've been into vibrant colours. My $$$ hack: I use a pure white nail polish as a base and I promise you, the colour pops!" As if Khloé's little beauty secret wasn't good enough, she then revealed the shade she uses is White Heat from Ciate's, which you can pick up for just £9! Apparently, the white shade enhances the pigment of other colours, meaning your pastels and reds will pack a lot more punch. We can't wait to try it! 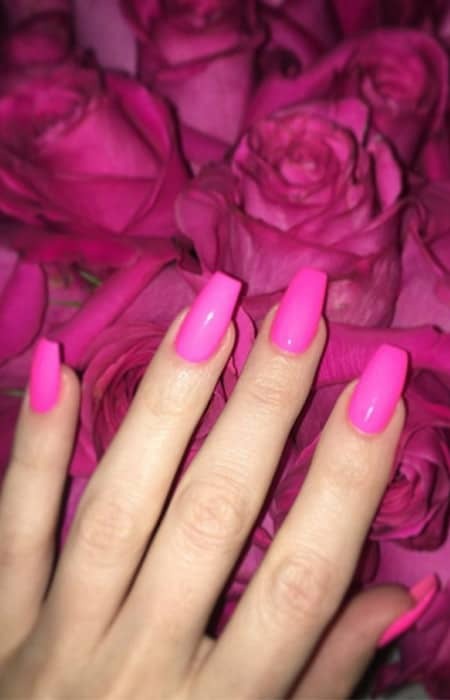 Meanwhile Khloé's manicurist has revealed the adorable reason behind her latest nail art. Chaun P, of Enamel Dictation, shared a snap of her talons, showing off a cute My Little Pony-inspired design – which Aunt KoKo chose especially for nieces North West and Penelope Disick, because it's the little girls' current obsession. Chaun told Lipstick: "Khloé is really playful when it comes to her nails, which is a lot of fun."